Chromium browser is a open-source Web Browser Project started by Google back in 2008, When they released the chrome browser and also introduced Chromium source code in which Google Chrome project was based open-source. 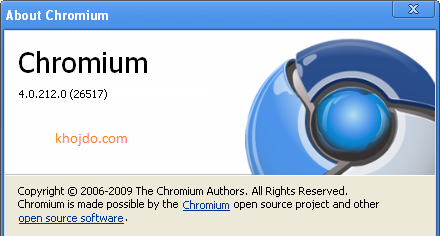 The Chromium source code is maintained by Chromium Project, and google chrome is maintained itself by google. Whenever a user install chromium or it gets installed by other sources, it may uninstall his default Chrome browser and confuse him, Because chromium and chrome both has similar interfaces and shortcuts. We cannot say that this is a malware program, but we can consider it as a potentially unwanted software. There are lots of advertisements, Poop-ups, redirects and banners on every page of chromium sometimes to get revenue from ad clicks by user. These are the reason’s many Users wants to learn how to uninstall Chromium from their Windows 7, 8 or 10 Computers as well on Mac or Linux computers. But they can’t uninstall chromium properly, In this guide i’m going to tell you “How to uninstall Chromium properly”. How Chromium Gets on your Computer ? Generally Chromium Gets installed with some third part software’s or you get it from any advertisement. To prevent Chromium browser from getting installed on your computer, you should always Install software’s from trusted sources and if it comes with any trusted software you should deselect it’s default installation option inside other software setups during their installation. Following These ways you can Get Ride of Chromium during installaion. How to uninstall Chromium browser from your Windows 7,8 or 10 Computer ? 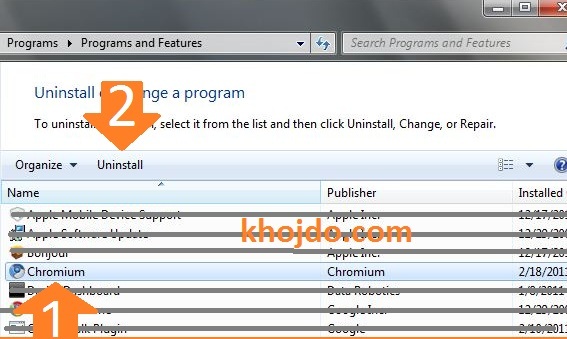 If you Cannot uninstall Chromium, Below I am going to provide you instructions about how to uninstall Chromium from your Windows 7,8 or 10 pc. So sit back and read carefully. You can also Watch the below Video for more details. First of all Check If any process of chromium is running in the background and close it. Follow below steps to close the chromium processes. On the Bottom right Corner of your Screen, if you see chromium Logo, Right Click on it and click Exit. Press Ctrl+Shift+Esc button at the same time to open Task Manager > Click Processes tab > If you see any chromium Related process, Right Click on it and click End process. 2. Remove Chromium From Startup. Press the Windows+R button at the same time and type Msconfig to open “System Configuration” window. Click Startup Tab and Uncheck any Startup process related to chromium. Click Apply Button and Exit without Reboot. Click on windows button and Search for program and features. Click on Program and features and Find Chromium on the list of programs. Click Uninstall in the new dialog box and wait for remove chromium process to get completed. Now After completing uninstall process, you will need to delete it’s settings, bookmarks and cookies left on your computer. Simply follow the next step to delete them. Click Windows button and search for Folder Options and click on Folder options. 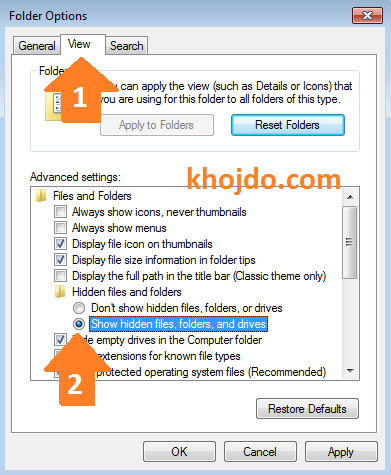 Now click on View tab and enable the Show hidden files, folders, and drives option. Or you Can simply Search for Chromium and Delete any Chromium related file or Folder. Now open the Roaming and Local folders and delete anything related to Chromium Browser. you can also remove following registry settings, but make sure to make a backup before deleting them. You can also use registry cleaner to remove broken registry settings from Chromium browser. Thanks for reading my article about how to remove Chromium browser from windows 7, 8 or windows 10. you can also read my another article about how to remove Web Companion from your computer. If you have any query for my current article you can ask me in the comment section below. You need to disable it from Services and startup, after that you can remove it with with Iobituninstaller or CCleaner if you have done all the above steps..